Here's some artwork that us supporters done of the Dallas. 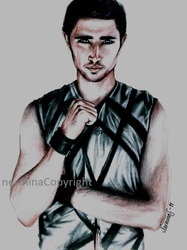 Missfrog2012 created this amazing drawing of Matt. Inspired by his character Jake. Even the Dallas was impressed! themattdallas matt dallas @ @missfrog2012 so great. amazing artist. 7 Jun He even RT her video shown above!